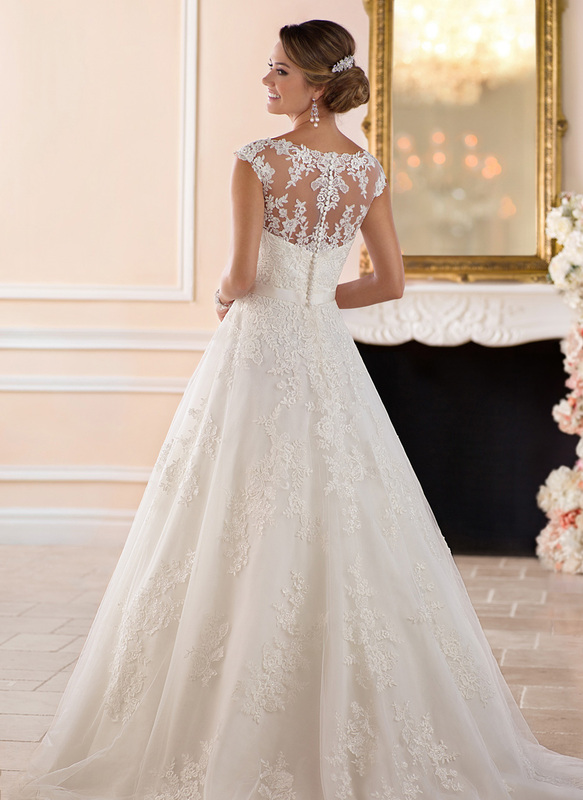 Simple but very sophisticated, the lace and French tulle come together to create a column silhouette. 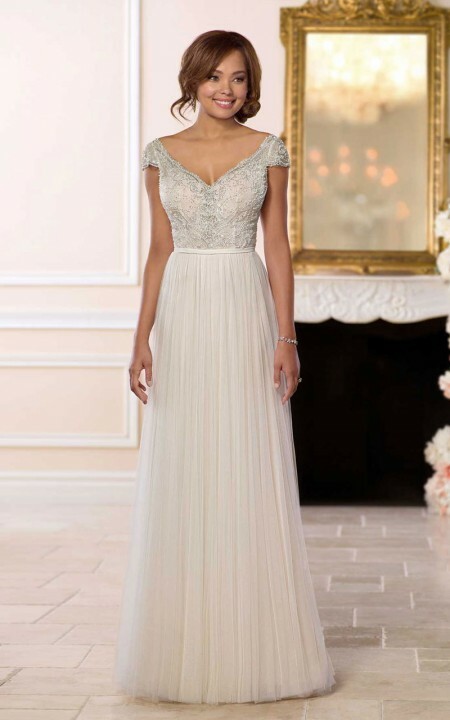 Vintage-inspired beading covers the soft French lace of the bodice and delicate cap sleeves and ends at the smallest part of the bride’s waist. 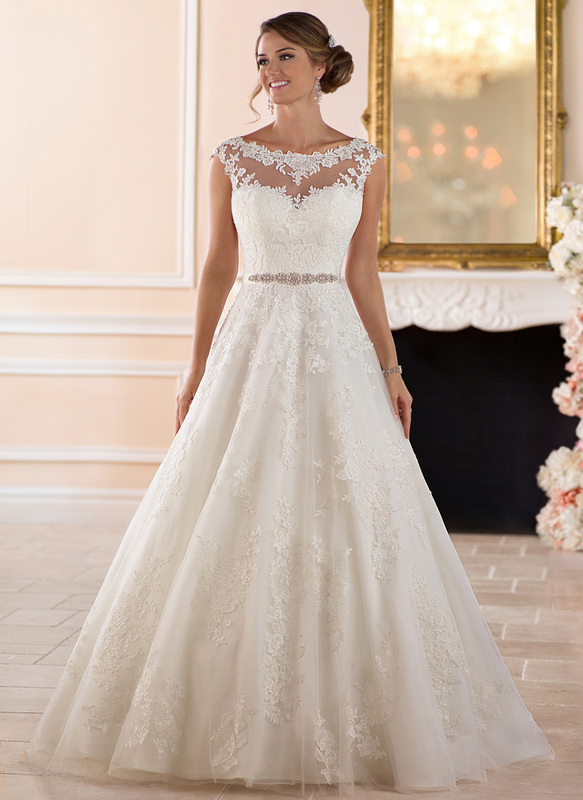 The scallop-edged neckline adds a touch of elegance to the wide neckline. A low back is framed by floating straps.